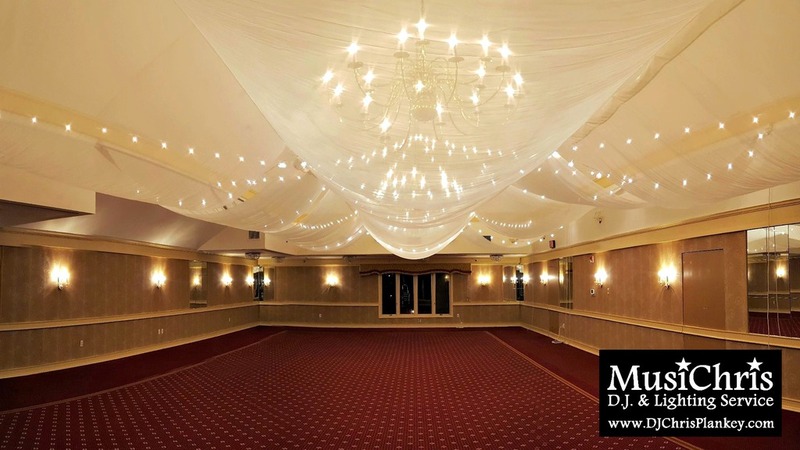 Orchards Hotel Wedding | Wedding DJ & Lighting in Berkshire County of Western Mass. 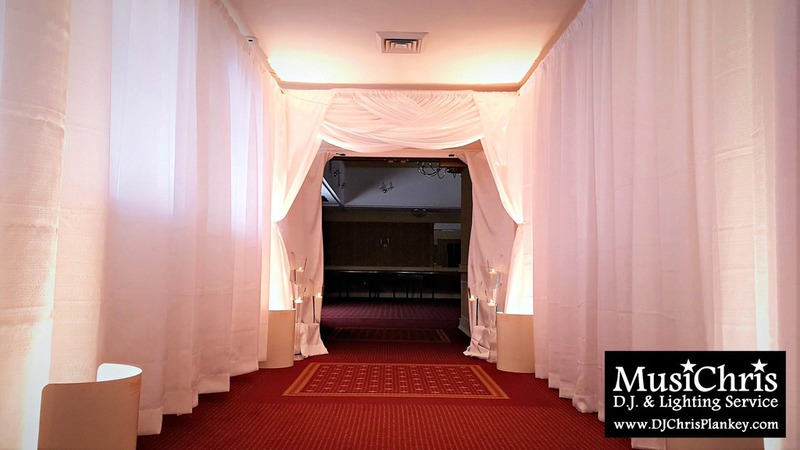 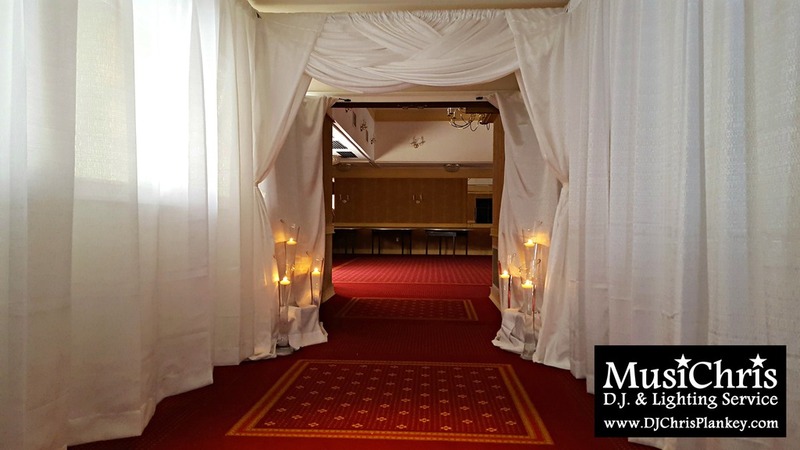 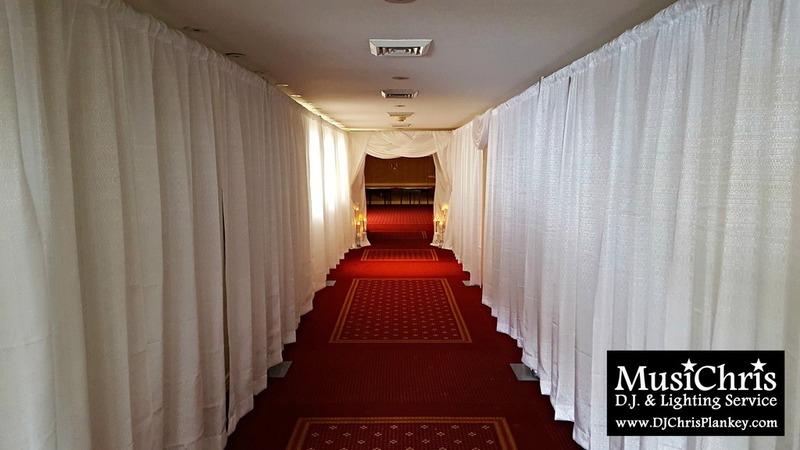 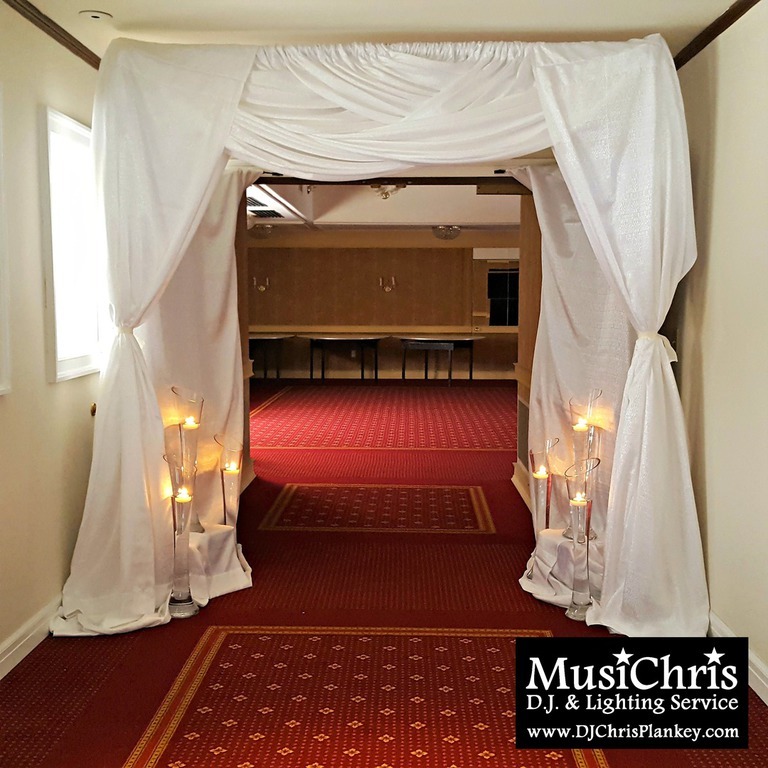 I draped the main entrance to the ballroom of the Orchards Hotel in Williamstown, Mass. 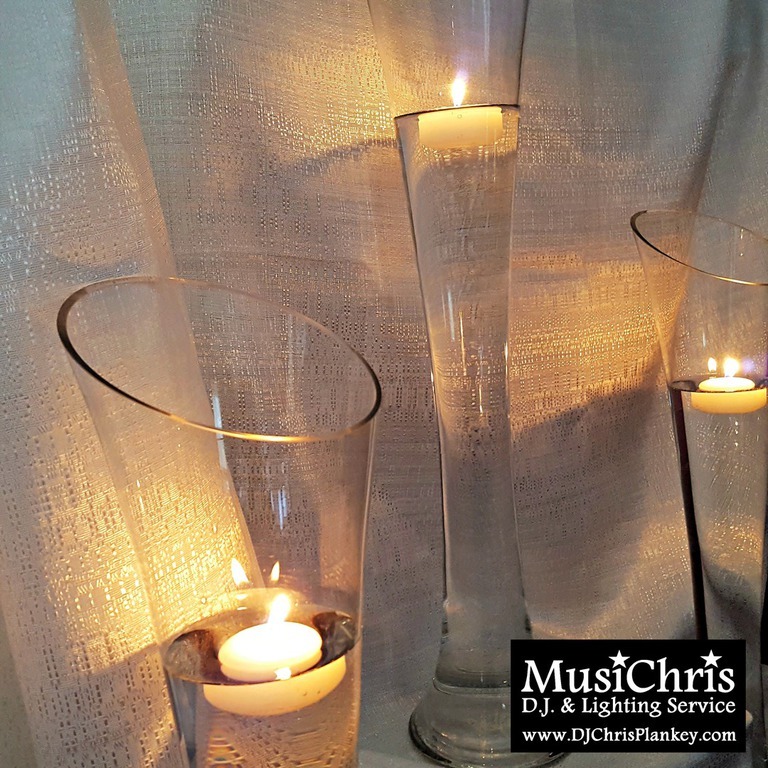 and provided the vases and floating candles. 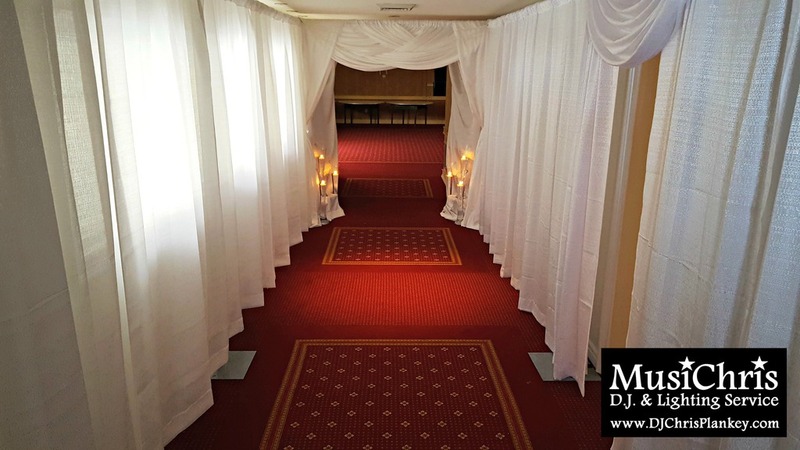 It's possible to drape not just the doorway but the entire entrance hallway as well. 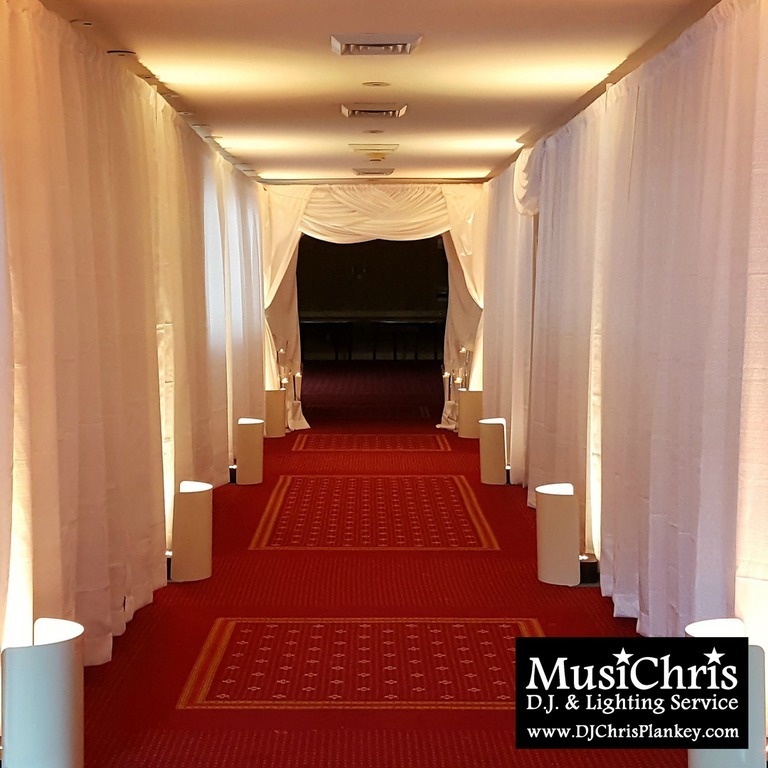 Champagne uplighting is added to the draped hallway. 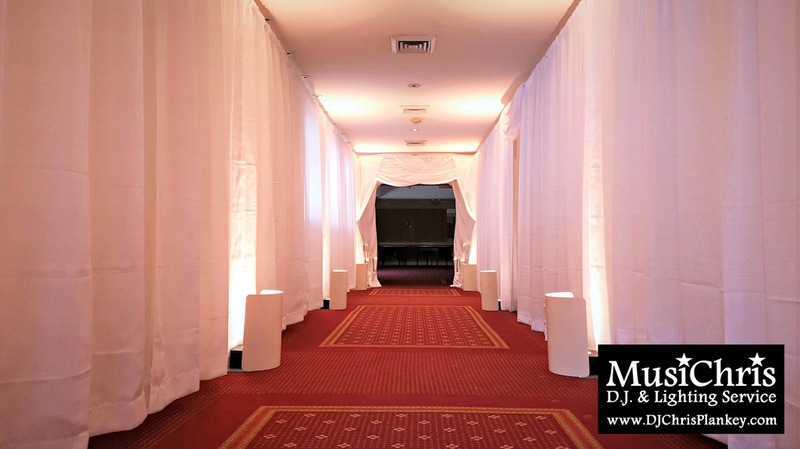 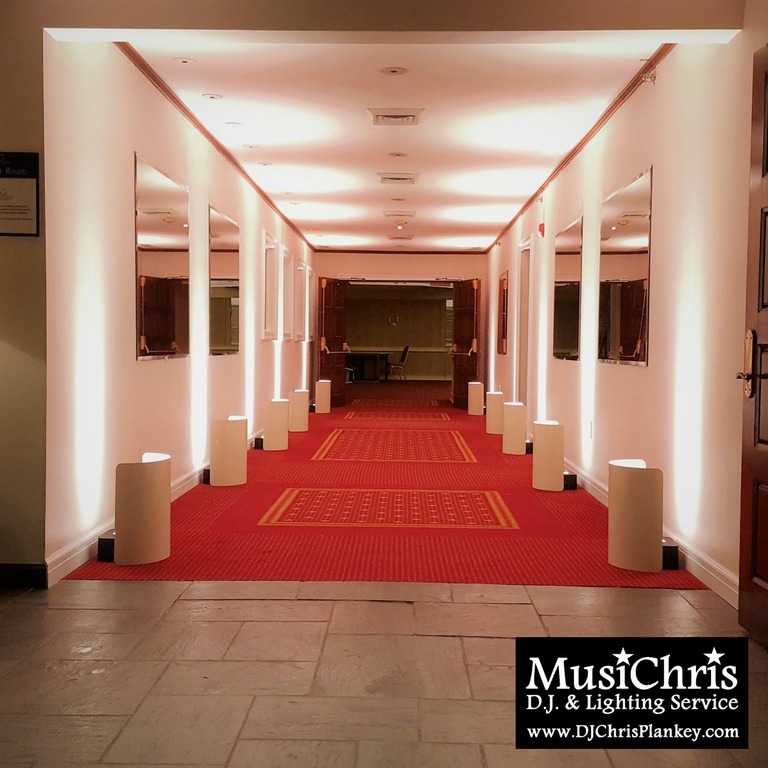 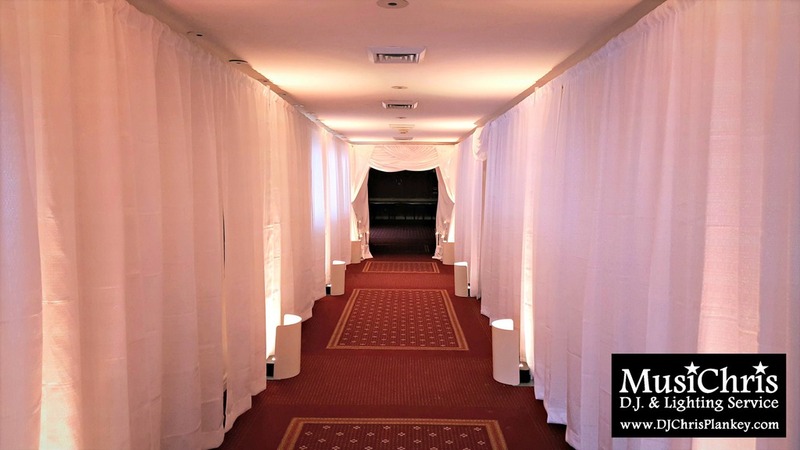 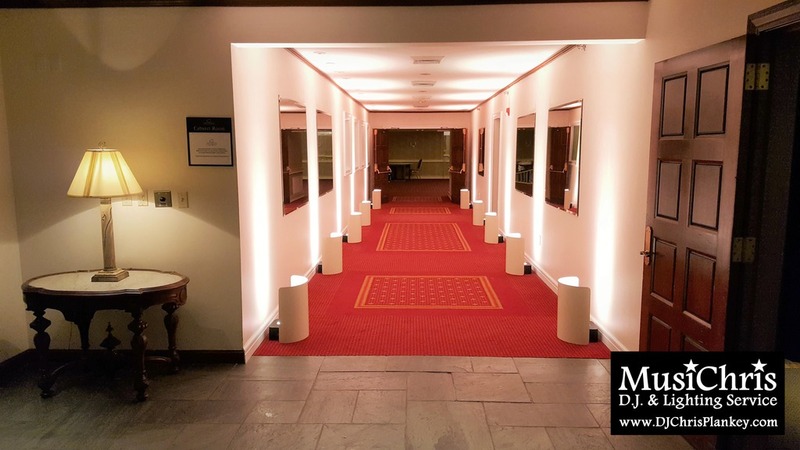 Blush pink uplighting is a great way to brighten up the hallway even without pipe and drape. 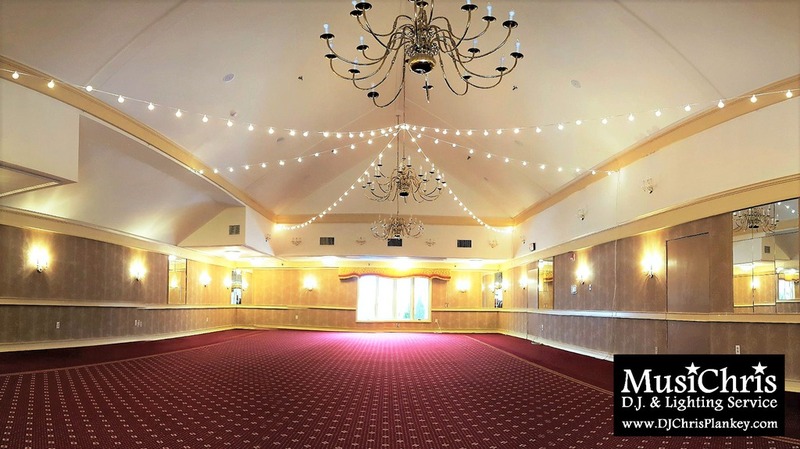 Bistro string lighting in the ballroom at the Orchards Hotel in Williamstown, Mass. 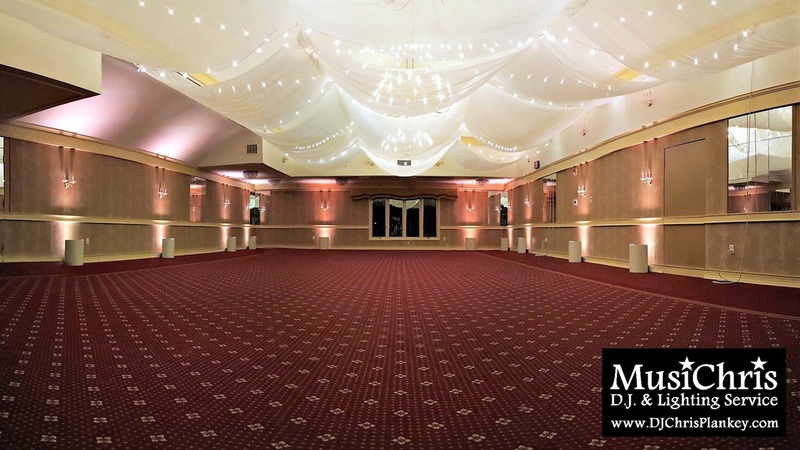 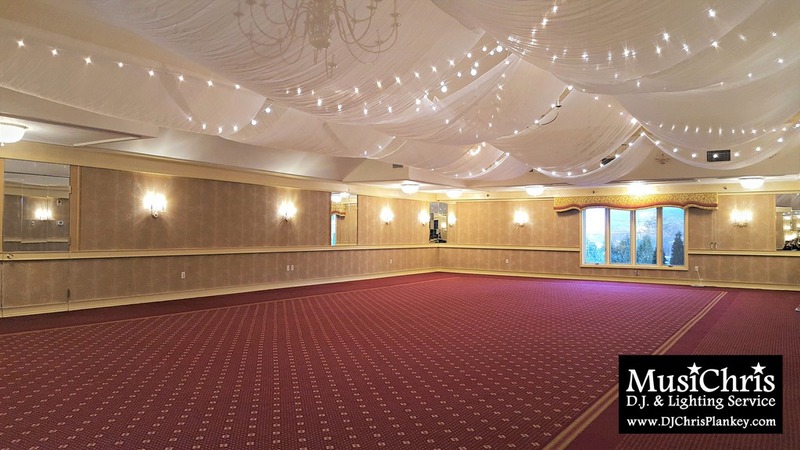 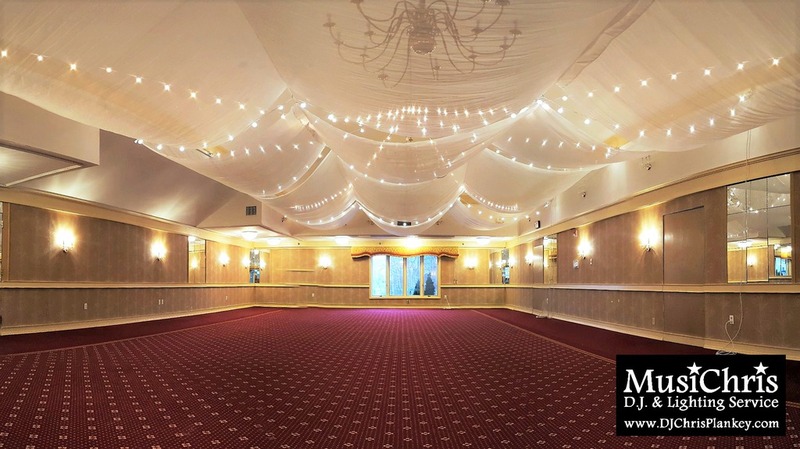 String lighting and ceiling draping in the ballroom of the Orchards Hotel in Williamstown, Massachusetts. 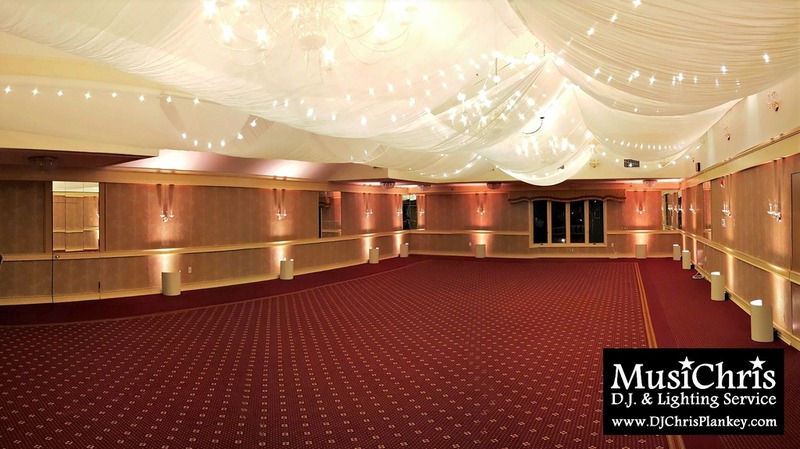 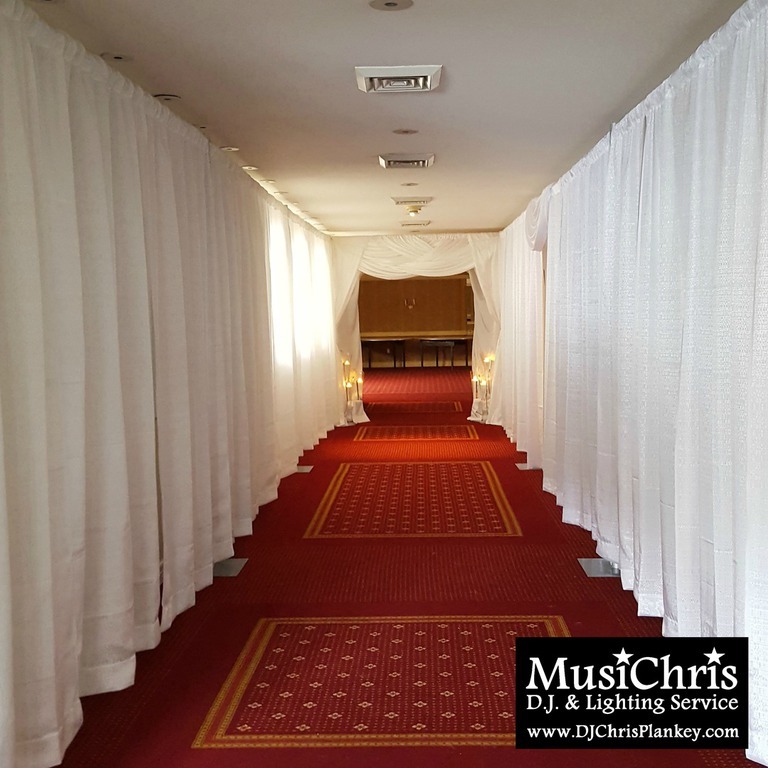 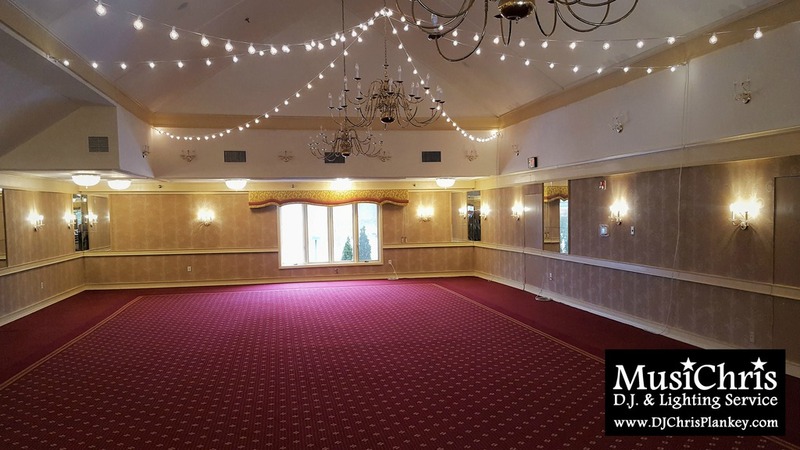 Uplighting, string lighting and ceiling draping in the ballroom of the Orchards Hotel in Williamstown, Massachusetts.